Other Products by Thompsons Nutrition. Search other Immune Boosters products. 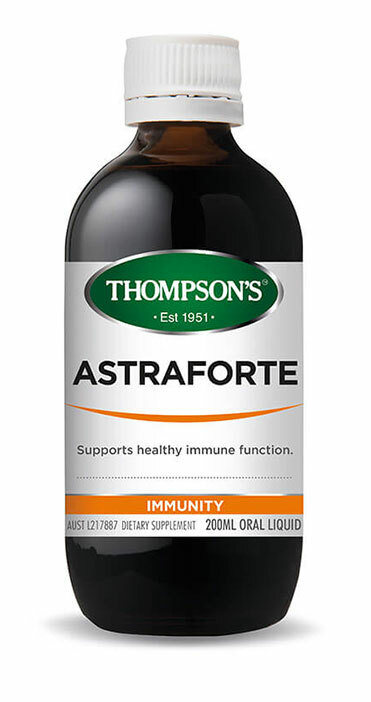 Thompsons Astraforte Liquid contains Astragalus to help boost the body's resilience to infection. The synergist blend of actives contained in Astraforte Liquid helps maintain healthy immune function and has been used in traditional Chinese medicine for the management of upper respiratory tract infecions. 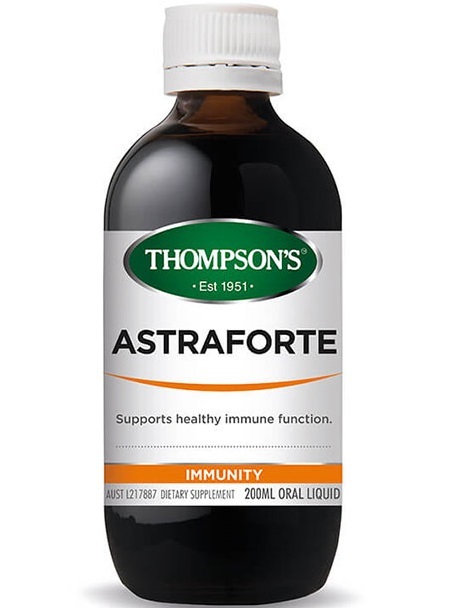 Astraforte may help relieve the symptoms of coughs, colds and flu. Adults - take 2.5ml, 3 times daily in a small quantity of water for fruit juice during illness or take 1.5ml twice daily as a general immune support tonic. NO ADDED: Gluten, lactose, nuts, sugar, dairy, egg, fish, sesame seeds, soy. No artificial colours, flavours or preservatives. Do I really need to buy Protein Powder?